85 of Dallas, Texas passed away peacefully on 02/25/2012. She was born on 3/8/1926 in Brenham, Texas to her parents Booker T. and Lesteen Thomas. Willie was the second to the oldest of four children. Willie had nine children and was a longtime resident of Dallas, Texas and was employed by Baylor Hospital as a Dietician/Supervisor for many years. Willie was a member of Allen Chapel Baptist Church. She enjoyed cooking, church activities and listening to her gospel music. 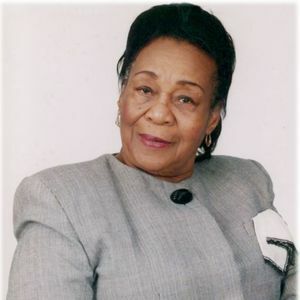 Willie will be remembered by her loving children, Lois M Irving-Shepard, James D. Irvin, Charles E. Irvin, Lawrence R. Irvin, Harold C. Irving, Sheila D. Hemphill-Brown. Willie was preceded in death by James Dorotha Irving (first spouse), Sinester Hemphill (second spouse), Sons Larry D. Irving, Wayne E. Irving, Raymond V. Irving, Sisters Margie Thomas Lilly, Jessie Mae Spears and brother Essie B. Colquitt. Her light will forever shine in the lives of everyone she has touched with her heart and spirit. Her love will be handed down from generation to generation. Continue to love and give and she will shine through you. My deepest sympathy is with you today. As I pray for you today I hope you feel the warmth and love from my family to yours and that God continues to fill your heart with love and guidance during this time and always. May God bless you and keep you. I love both of you. My daughter Hope and I send our sincere condolences for the loss of your mother. May God be with you. Mom you will truly be missed. I will forever cherish your memories and words of encouragement that you shared with me. We loved you but God loved you more, to call you home to be with him in glory. May God Bless you all. You are in my prayers. My condolences go out to the family. May God provide you comfort at this time. To family may comfort come to you in these times of grief,remember the diamond she was MAY PEACE BE WITH YOU.